Not going to meet the minimum? Click here. 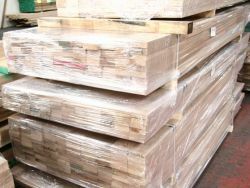 Planed Oak is oak timber that has been planed smooth on all four long sides giving a finish ready to be used in joinery. It is not typically planed on the ends. iWood kiln dried, Planed Oak timber is of the highest quality and sourced from responsibly managed forests. We plane to your exact cutting list. Please enter your finished sizes above in the pricing area. Planing is carried out on all sides except the ends which will require cross-cutting down to size. Prices are worked out from a pricing matrix with the most competitive oak timber pricing on shorter lengths. You will therefore get the best prices by entering exactly what you need rather than ordering long with the plan of cutting the pieces down yourself. Prime Quality Oak - the very best pick of the cleanest (knot free) oak. If there are any knots they will only be tiny. Character Quality Oak - still a very high quality oak but will feature more knots, but no large dead knots. 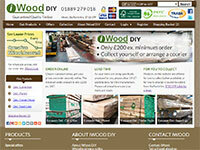 Also, don't forget that you’ll instantly receive even better prices on our Oak planks by opening a free iWood website account. Our planed products are delivered cellophane wrapped to prevent scuffs to the surface of the oak during transit. At iWood, we have built our reputation on supplying the highest quality Oak, ensuring you have the greatest amount of usable European Oak timber possible from your iWood delivery. iWood is working on becoming one of the UK's leading timber merchants by delivering only the pick of the highest quality oak and planed timber. Our timber is imported straight from sawmills on the continent. Our usual lead times are therefore 17 to 21 working days. Our Cut to Size Oak is kiln dried to a moisture content of between 10 and 16% depending on thickness (with thicker timber having the higher moisture content).